Clearview placed fourth overall at the Terry Munroe Invitational this weekend at Western Reserve High School. Placing individually for the Clippers: Julian Colbert, first place David Fitzpatrick, second place JD McCardle, second place Robert McCardle, second place Donny Horseley, third place Jacob Kessler, third place Jerry Ruiz, fourth place Congratulations guys! Saturday’s HS Wrestling Tournament at Westlake has been cancelled. Three Clearview wrestlers placed in the top three in their weight classes at the J.B. Firestone Invitational this weekend at Black River. JD McCardle won the 285-pound weight class. Sean Kane placed second in the 106-pound weight class. Jacob Kessler placed third in the 170-pound weight class. 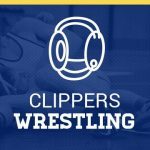 All Clipper wrestlers competing won matches this weekend.